Apostolos Ziakopoulos is a Ph.D. Candidate supervised by Professor G. Yannis and a doctoral researcher at the Department of Transportation Planning and Engineering at the School of Civil Engineering of National Technical University of Athens. Since 2013, he holds a Civil Engineering Diploma from NTUA, majored in Transportation Engineering. He went on to complete an MSc. in Transport at Imperial College London and University College London in 2014. 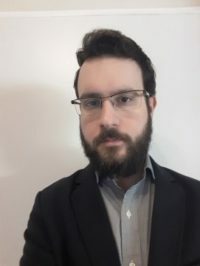 Mr. Ziakopoulos has worked as a researcher in projects in NTUA (Greece), Imperial College London (United Kingdom) and the University of Sheffield (United Kingdom), and has also published 2 papers in scientific peer-reviewed journals. His Ph.D. research is on Correlating road accident risk factors with safety countermeasures.